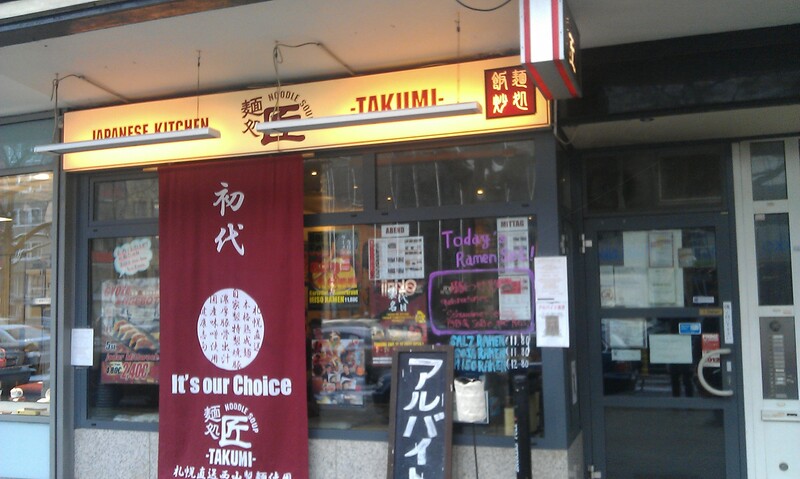 This is a review for the Japanse restaurant Takumi Kitchen in Immermannstr. 28 in Düsseldorf and they are open everyday roughly between 11am and 10pm. When I want a break from my usual day and just have an hour and not a weekend or more, I love to go to a foreign restaurant. The more it feels like being far away from home the better. One of these amazing places in this way here in Düsseldorf is Takumi Kitchen. Ok, I’ve never been to Japan. 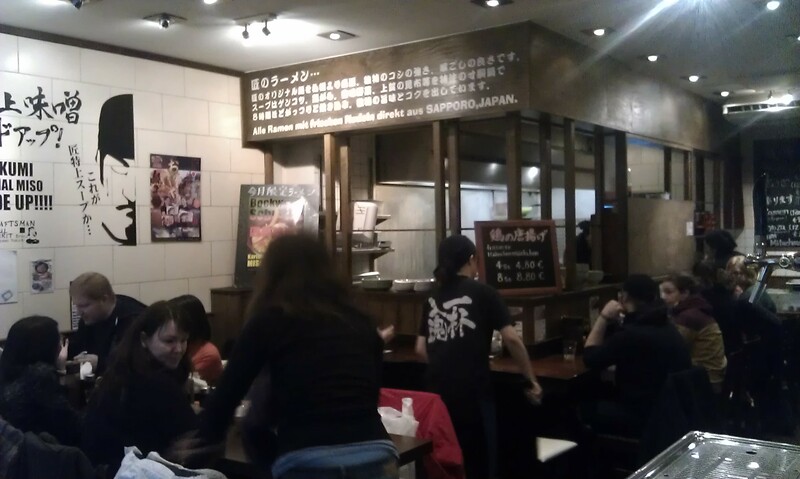 I can’t tell if this is like real Japan but it is like what I would imagine it to be like:a a small place with all walls covered in writing of what’s on offer and a lot of Japanese waitresses running around always talking and placing orders. And then there is the food: It is mostly noodle soup which I enjoy. I fell in love with Japanese noodle soup back in Australia and was really happy to find a similar restaurant here. 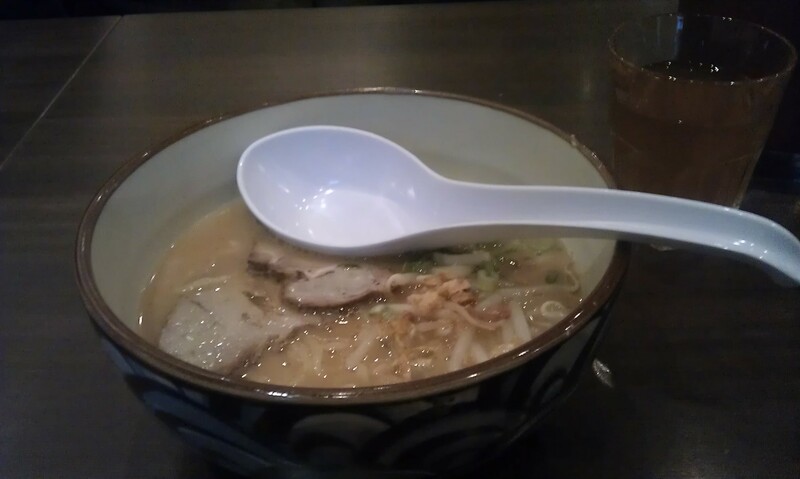 Saying this, for it being only noodle soup (eventhough the bowl is very big) it is quite expensive. Soup on the menu starts at around 10€. But it is definitively worth it. This entry was posted in Germany and tagged Dusseldorf, Restaurant, Review by kathatravelling. Bookmark the permalink.